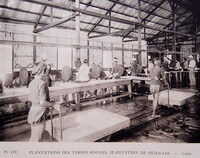 Many of us were assigned to duty stations in Vietnam that were either in or near the French rubber plantations scattered across the country. 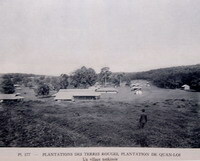 In fact, Quan Loi Base Camp was carved out of the middle of one. 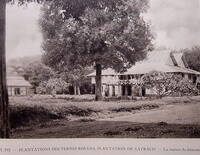 Remember how the old French colonial style buildings at first seemed out of place when you first arrived, but many of us grew to accept them as a part of our surroundings. The French "oasis" with swimming pool northwest of Alpha Battery, once entered, was an experience never forgotten. 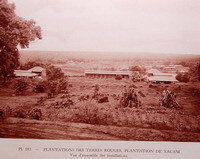 France was the colonial power in Vietnam for many years and the rubber plantations were one of the results of that colonialism. 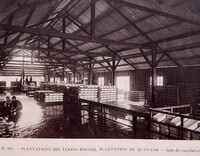 Started in the early 1900's, the plantations grew to produce a large share of the rubber used in the World. 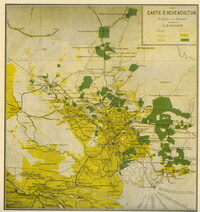 Recently I had the good fortune to come across a website published by Francois Dennis FIEVE, in Paris, France. 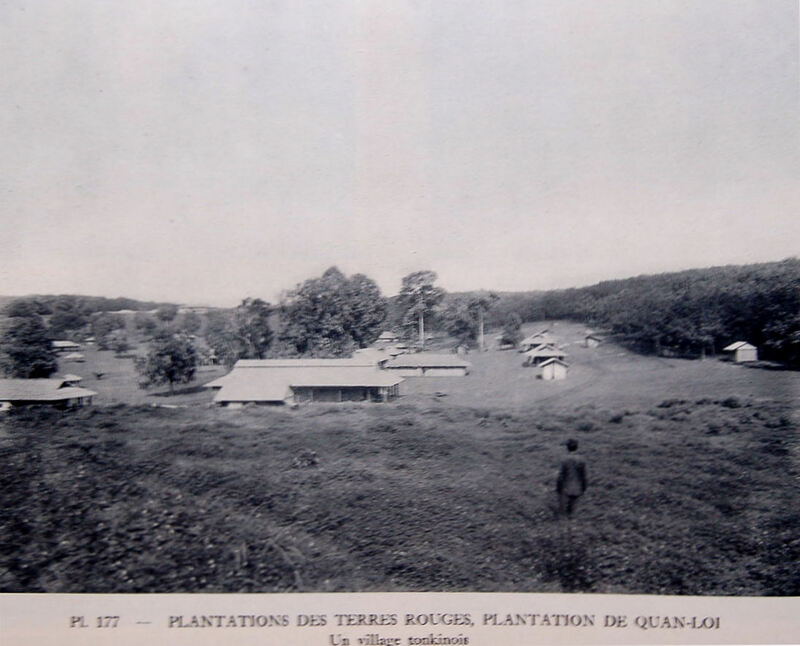 As a part of his web site he has devoted several pages to the history of French colonial rubber plantations in Indo China, including Vietnam. 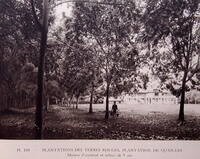 Rather than duplicate his work I decided to contact Francois to see if he had any other photos of the Quan Loi Plantation. 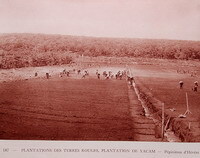 He soon sent me the five photos (above) as well as three photos of the Xacam Plantation located near An Loc as well as two of the Xa-track Plantation located to the south of An Loc - All of which are shown below. 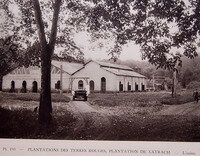 These plantations were owned by the French Terres Rouges (Red Ground) Rubber Company . Francois has a terrific site covering his interests in Southeast Asia. The site, however, is naturally in French which many of us do not speak or read. I therefore, decided to use Google MachineTranslation to access the site in English which was of great help, but the translation seemed to be so stilted that I decided to "enhance" the translation with some phrase correction, etc., in order to make it easier to read. We'll let you be the judge. In all fairness to Francois, I did not want to burden his site with new traffic without proper credit for all of his diligent work. 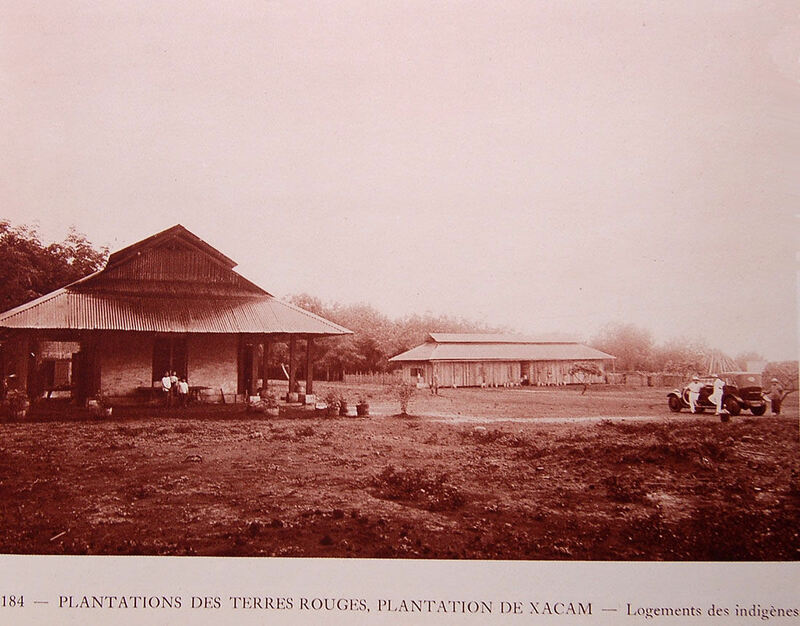 He had generously granted permission to use any of the photos on his site, so, rather than compete with his work, I decided to put up a "mirror image" of his history of French rubber plantations pages. Below you will find three links to access his pages. 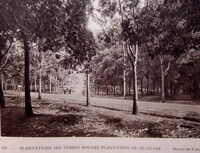 The first is his original French History of Rubber Plantation site. The second are the Google English translation pages as well as an link to his index page and lastly my enhanced English translation "mirror" pages. Whichever way you decide, I urge you to explore his website if you have an interest in Southeast Asia. Thank you Francois for sharing your pages. Enhanced Translation "Mirror Image" Pages Click Here Be sure to try this one! Copyright © 2001-2007 by John A. Wavra. All rights reserved.